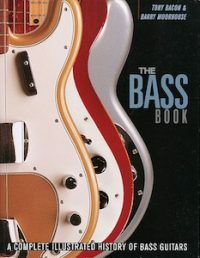 As a one-time bass player, I’d always wanted to produce a book that told the story of the electric bass guitar. I’d known Barry Moorhouse for some time, and his fantastic Bass Centre store was based at the time in Docklands, east London. He was the obvious person to hook up with on this one: Barry is a lovely bloke, and he knows everyone. We had a lot of fun making this book. The first edition appeared in 1995, and the jacket was in the style of our existing guitar books (pictured below left), and then a second edition came out in 2008 (jacket below right) in our larger, softback format. The icing on the cake came when Paul McCartney agreed to be interviewed for the book. I believe Mr McCartney got out of the right side of the bed the morning my fax arrived asking for an interview. I remain very grateful for his bedroom arrangements. Click here to read an extract from the interview with Paul McCartney. 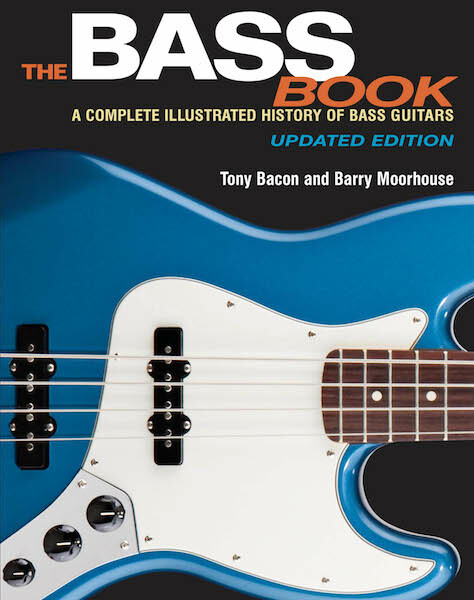 Suffice to say, Barry and I were proud to be the first to tell the story of the introduction and development of the electric bass in a book dedicated to the subject. There’s an interview here that Bass Musician magazine did with Barry and me about the book.